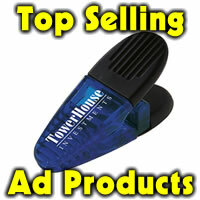 Looking for a gift for an event or something to hand out at a tradeshow booth? 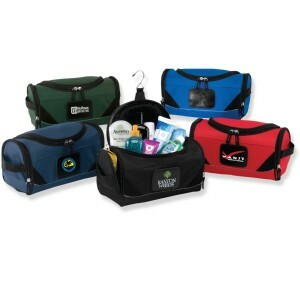 The sidekick amenities kit made of sturdy 600 denier polyester features main compartment with U-shaped opening, two interior zippered pockets, two exterior pockets makes a great handout. With a sturdy metal hanging hook and side handles, it keeps toiletries in one spot, both in the suitcase and in the hotel. Item #SN106 is available in black and minimum is 48 pieces. 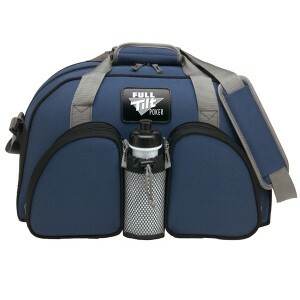 Price includes one standard color or deboss imprint on front patch. Specify imprint method. Contents not included. Item size 6″ wx 10-1/2″l x 6″ h. Imprint area is deboss or color imprint either on the patch 2-7.” x 1-7/8″ or 4″ x 4″ on the top flap. Available in black, blue, green, red or royal blue. 8.48 ea Set up is 62.50.